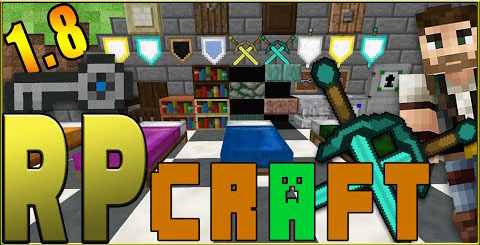 The RPCraft Toolkit Mod is in your Minecraft, being as nifty as possible. 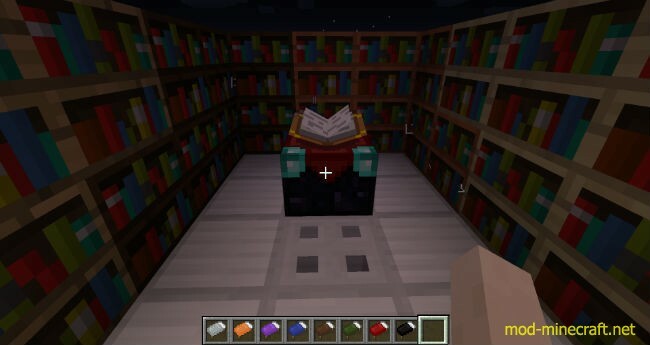 This mod adds chairs, tables, hanging shields, crossed swords, key doors and blocks, multiple bed colors, more variety of slabs and bookshelves and trap doors made from any wood block. 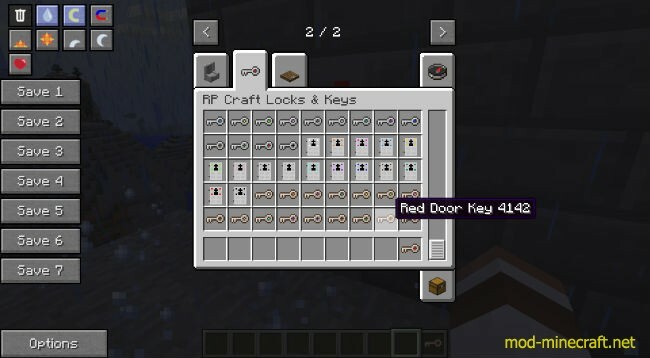 Locks and Keys – Great for Adventure Maps, but also useful for servers (to be given to specific factions/teams/kingdoms). Only available in Creative Mode. Players just need the right key in their inventory, no need to pull it out every time! Doors can only be opened by players holding the correct door key in their inventory. 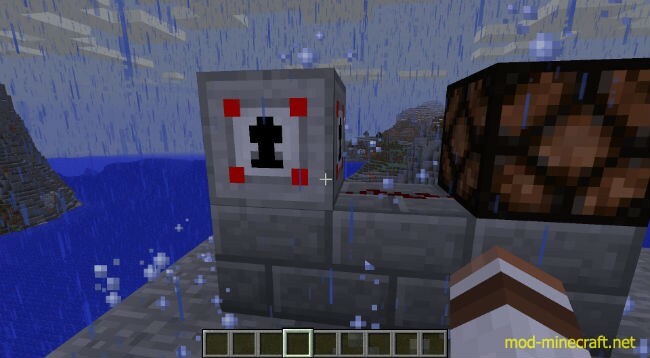 Clicking a locking block while you have the right block key works like a button, so many Redstone possibilities. Keys can also be renamed without any loss of functionality, so have whatever texture and name fits your needs. Tables and Chairs – Wooden table and chairs available in all the standard wood options. 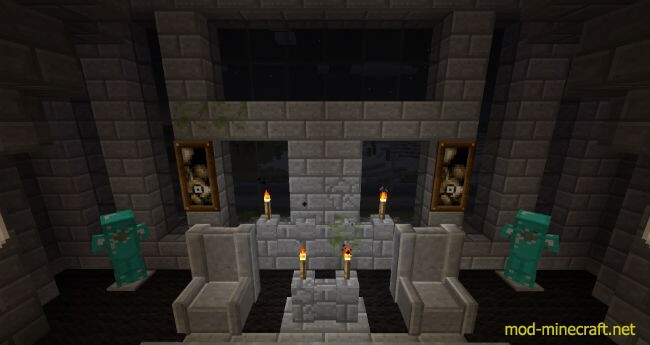 Stone tables and chairs in the new polished stone, obsidian, quartz, iron or even prismarine. Lots of options for thrones, altars, or use it to make your own “round” table. 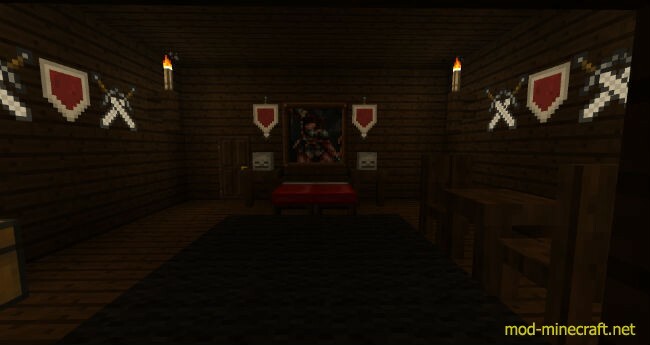 Shields and Swords to hang on your Wall – Decorations for any dungeon or throne room. Shields available in Wood, Iron, Gold or Diamond. Each available in all 16 basic colors for whatever suits your needs. Pair it with a sword or hang some crossed swords nearby! Carriage Lanterns – When you want some lighting choices besides just torches! Add stained glass for your own personal touch. 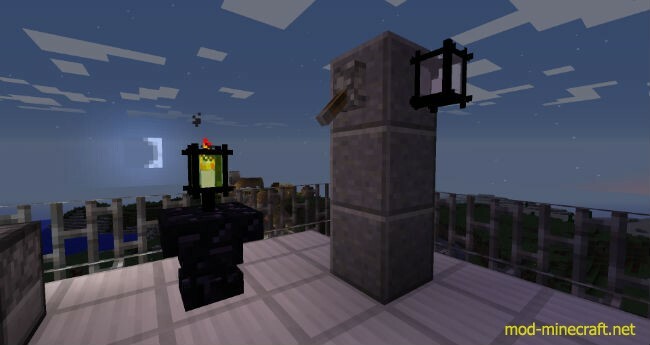 Also, can be shut off by applying a redstone signal to the block its placed on. Dressers – Now your bedroom can have more than just a bed in it. Each drawer has it’s own small inventory. 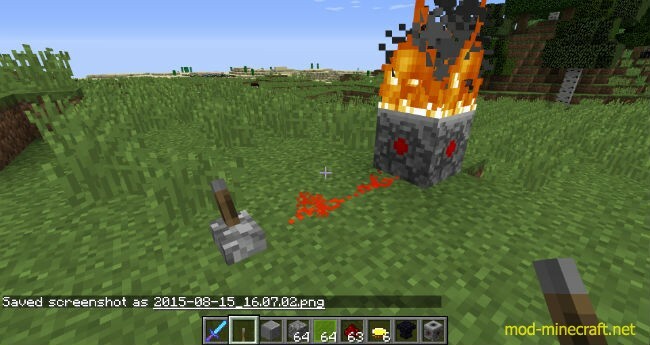 The Firestone – This insanely useful block lights on fire when a redstone signal is applied, and cannot be put out so long as the signal remains on. Hide a secret behind your fireplace! Create burning tile puzzles! Endless possibilities, just don’t burn down your house! 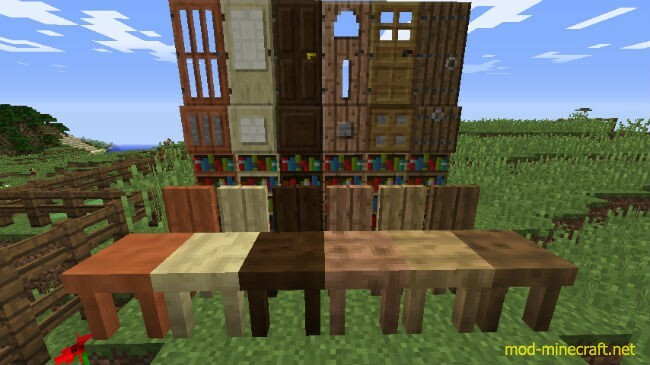 Upgraded Vanilla Blocks – Adding new doors and fences was one of the best parts of 1.8, but why did Mojang stop there? Now the type of material used will make a difference in a lot more blocks. Many more slab and wall choices, including mossy stone slabs finally. 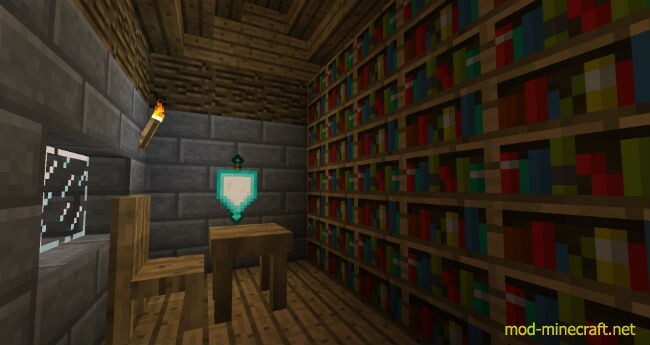 Bookshelves in every wood type (that are still perfect for Enchanting Tables). Trapdoors as well (designed to match their corresponding door). 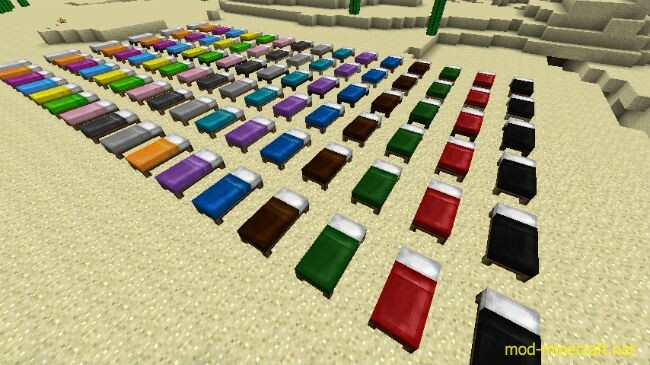 And beds that vary based on both wood and the wool chosen, now the bed can actually match the style of the room. Locked Doors cannot be opened except by a player who has the appropriate Door Key in their inventory. Even redstone will not budge them. But get the matching Door Key and you can open it to your heart’s content. Each door has a Door Key that matches it’s color. Red Door Key opens Red Locked Doors, Yellow Door Key opens Yellow Locked Doors, etc. The best part is you don’t have to click the door with the key, simply having it in your inventory is enough to let you open and close the door at will. The Locked Blocks work in a very similar way, but they are like a button. Clicking on them without the right Block Key will do nothing. 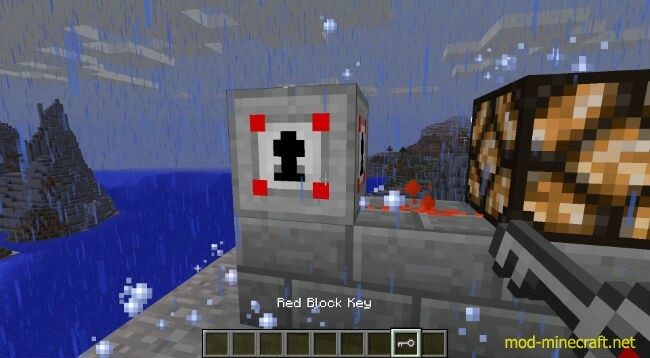 But if you have the matching Block Key in your inventory, clicking them will produce a redstone pulse. Once again there is a matching Block Key for each color of Locked Block. This lets you set up even more elaborate things to hide behind your locks. Maybe make the floor open and drop the player into a deep dungeon. Maybe texture the key to be a plunger and the lock to be the box and use it to set off some TNT that blows open an old mine. 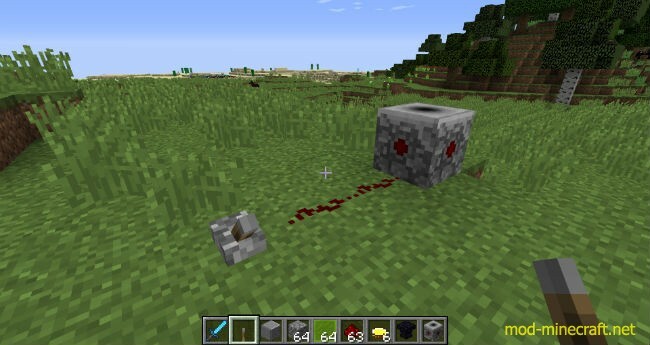 Whatever you can make with redstone can be used with the Locked Blocks. The Locks and Keys are available from the Creative Mode inventory only! After all, what use would it be to lock your base on a public server if some troll could craft the key and then come in anyway. On servers, the Moderators can hand them out, and on single player just use a little cheating to give yourself some if you want them. The uses for the locks are many and awesome! 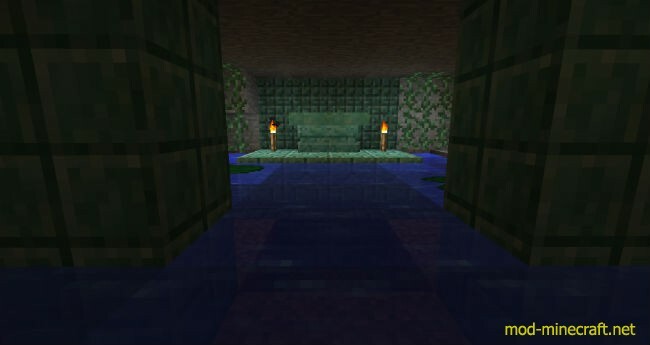 Use them to lock sections of your Adventure Map and control player progress, send your player on a quest to find the 7 keys needed to open the ancient tower or have several different keys to the treasure room with different localized names that all open the same door. Use them on a PVP server and give each team one color to secure their base and various outposts. Have them on an RP server so there’s always a part of your castle where you can hide away when being king becomes too tiring.